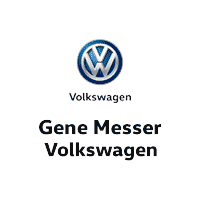 Just like Gene Messer Volkswagen VW thinks graduating college is an achievement worth rewarding. That’s why they created the College Graduate Program. (1) It is designed to help our customers buy or lease a new Volkswagen. Receive a $500 Contract Bonus(2) when you purchase or lease any new Volkswagen vehicle through Volkswagen Credit. Get competitive rates even if you have a limited credit history. Credit history is not required, but if you have existing credit, it must be good standing. *May provide lower monthly payments on average than financing over a similar term on the latest models. *Flexible lease terms and a range of mileage options available. *Ability to turn in your vehicle for a newer VW model, or buy your vehicle at a predetermined price at lease maturity. *Ability to own for life of the vehicle and build equity. *No end-of-lease obligations, such as excess wear and tear. *No vehicle customization limits or mileage restrictions. *Competitive rates and flexible terms available from Volkswagen Credit. (1) The College Graduate Program is subject to credit approval and is available to U.S. citizens or permanent residents who graduated from a U.S. or Canadian accredited college/university no more than 24 months prior to credit application. Applicant must be employed in a full-time permanent position or have a written commitment from a future employer. References, proof of income, copy of degree or official transcript, and contact information for college/university required. Credit history is not required, but existing credit must be in good standing and have no previous derogatory credit. Program not valid in Puerto Rico. See your local Volkswagen dealer for details or, for general product information, call 1-800-Drive-VW. (2) Volkswagen of America, Inc. will pay a $500 Contract Bonus when customers eligible for the College Graduate Program lease or purchase a new, unused Volkswagen vehicle through participating dealers and finance the lease or purchase through Volkswagen Credit. Excludes Certified Pre-Owned vehicles. Subject to credit approval by Volkswagen Credit. Bonus must be applied toward customer lease or purchase and is not redeemable for cash. Offer not valid in Puerto Rico. See your local Volkswagen dealer for details or, for general product information, call 1-800-Drive-VW.